Railway Gets Its First Engine With "Aerodynamic And Ergonomic Design"
The engine will be used to haul trains like Rajdhani Express, Gatiman Express and Shatabdi Express. The engine has a speed potential of 200 kilometers per hours. Railways has got its first engine with aerodynamic and ergonomic design. 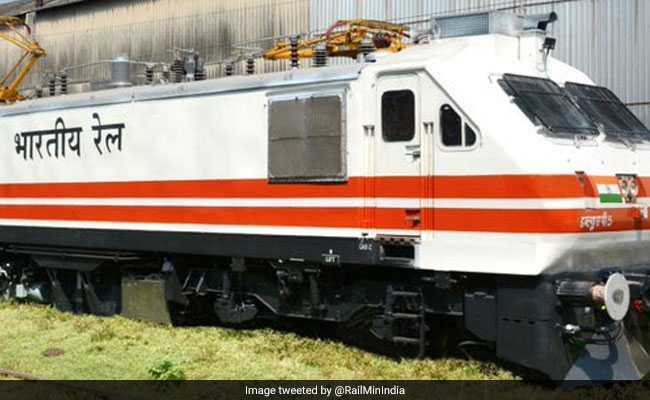 "With a speed potential of 200 kilometers per hours, this WAP-5 loco is energy efficient and stable for high speed operation," the Ministry of Railways tweeted. The engine has been produced by Chittaranjan Locomotive Works and will be used to haul trains like Rajdhani Express, Gatiman Express and Shatabdi Express. The Railways will also put country's first engineless train, Train 18, for trials on October 29. Train 18 is being regarded as a successor to the 30-year-old Shatabdi Express. Driven by a self-propulsion module sans a separate locomotive, the train is capable of running at a speed of up to 160 kmph. The swanky 16-coach prototype without a locomotive (engine) will cut travel time by 15 per cent compared to the Shatabdi.